If you’re searching for the most reliable industrial air conditioning Cape Town wide then you’ve come to the right place. We’re experts in designing, supplying and fitting commercial systems for factories, office buildings, ware houses, new buildings, apartment blocks and other large scale installations. We additionally offer ventilation services in and around Cape Town and our team of dedicated professionals will be able to help you out on all your cooling requirements; whether it is a totally new install or an upgrade or addition to your current equipment. Commercial aircon Cape Town comes in various forms. From the large scale industrial ducting and piping right down to the smaller systems, you can depend on us to provide the best expert advice at a client-friendly prices. Getting the correct install for you needs is essential as mistakes here could end up being costly in the long run. We take our time to survey your property and make expert decisions on the correct model type, where to house the units and where to pass the piping and ducting as well as the ventilation. We’ll work towards meeting your needs and requirements, and make sure the system is installed to offer adequate cooling to your preferred location. Our duct designing and installation experts have the technical know-how and the experience to understand the most appropriate ducting type to use for every project. Whether you need a square or round ducting or you if you prefer spiral air conditioning ducting for your premises, we’ll offer our expert recommendations. With our accredited Air Conditioning service, rest assured of better efficiency and minimal operational costs, less noise and improved airflow. We offer a variety of ventilation systems ranging from domestic and commercial fresh air supply systems to restroom ventilation and mechanical systems. Whether it is a warehouse, factory, or you need ventilation for parking areas or smoking zones, our ventilation systems are expertly designed as per your requirements and specifications. 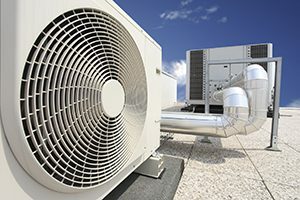 For top-notch advice on all issues to do with commercial and industrial air conditioning, as well as aircon repair and maintenance services, get in touch with our experienced team today on 087 551 0627.